Zimbabwe’s former Vice President Emmerson Mnangagwa, whose sacking led to last week’s Army takeover, on Tuesday urged President Robert Mugabe to resign immediately. Speaking from an undisclosed location, Mnangagwa said he won’t return to Zimbabwe until he was sure he would be safe despite an invitation from Mugabe to discuss “the current political events in the nation”, the BBC reported. Mnangagwa alleged he was told by “friendly” security personnel in November there were plans to “eliminate” him once he had been removed from his post and taken into custody. “I told the President that I would not return home now until I am satisfied with my personal security because of the manner and treatment were given to me upon being fired,” he said in a statement. Mnangagwa said the 93-year-old President should heed the “clarion call” of his people and step down. The ruling Zanu-PF party is expected to begin impeachment proceedings in Parliament later in the day. 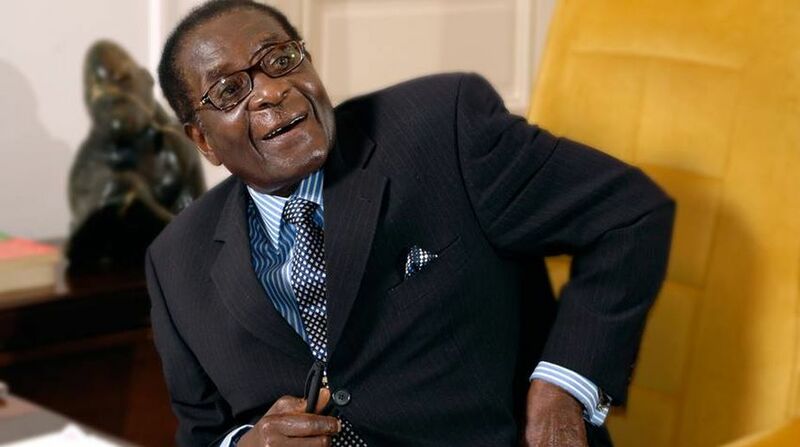 Mugabe is accused of allowing his wife Grace to “usurp constitutional power”. Mnangagwa’s dismissal earlier this month was seen by many as clearing the way for Mugabe’s wife to succeed him as leader. The move riled top Army officials who stepped in and put Mugabe under house arrest though he nominally remains the President. “Mugabe has always said that if the people don’t want him he will leave office, now that they have spoken he must now accept the will of the people and resign,” Mnangagwa said. He said he had told Mugabe there were two options — work to leave peacefully and preserve his legacy or be forced out in humiliation. “The will of the people will prevail against one person,” Mnangagwa said.